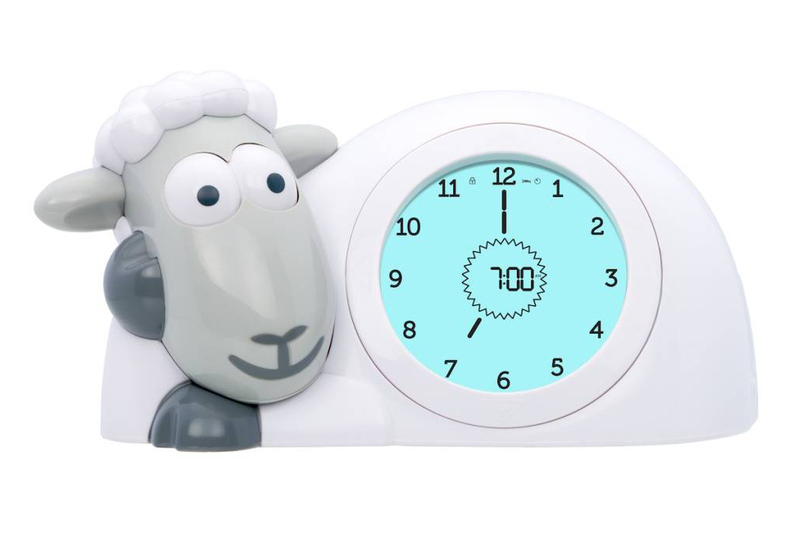 This cute little sheep SAM is not only an alarm clock and a nightlight, it is also a very cute and clever sleep trainer. Apparently, young children don’t have a sense of time like us adults — for them, the day starts when they open their eyes in the morning, and it ends when they are put to bed. Simple! When you have a little child who persistently gets up way too early and then refuses to go to sleep until way too late, this sheep can help your child (and you) to get used to a more grown-up idea of time. SAM goes to sleep when your little one goes to bed. He will actually close his eyes and his screen will become blue, meaning ‘it is time to sleep’. Half an hour before get-up time he will open his eyes and the colour of his screen will turn green, meaning ‘it’s nearly time to get up’, and 12 stars on the screen will disappear one by one, counting down the 30 remaining minutes. By the time it is OK to get out of bed, SAM will open his eyes and his screen will become white, and the child will know that it is now ok to wake his parents up! Ava has had SAM the sheep in her bedroom for a while now, and especially now that she’s at ‘big school’, she’s totally in love with it. 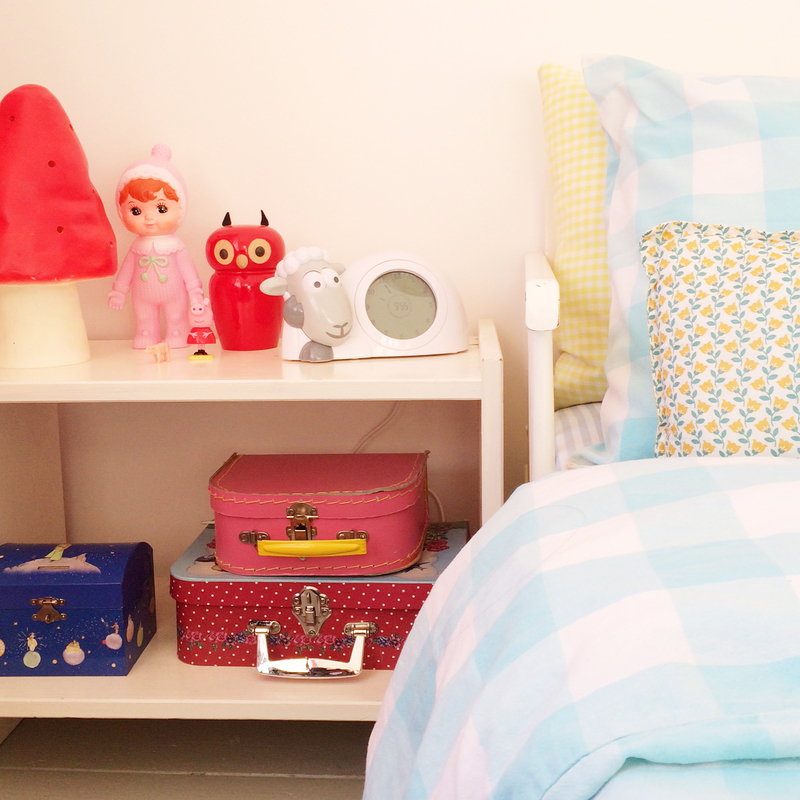 It’s truly her little friend, sitting at her nightstand next to her little bed! I found that putting my daughter’s bedside lamp on a timer was an easy (and cheap) solution. When the light comes on then it’s “morning”.